When it comes to the interface designed specifically for the children, we usually have something like a colorful picture with large buttons before our eyes. In fact, the child needs an interface that takes into account the developmental characteristics at each stage and the set of skills that he possesses at different ages. In addition, as we will see later, the very concept of “child” is also quite a relative term. Over the past decade, the amount of time children spend on a computer has tripled, according to Kaiser Family Foundation research. Therefore, to look to our task it is best to study not only research on the children’s interface, but also to take an interest in theories on the overall psychological and physical development of the child. After all, they will help us to understand what the interface should be, properly serving all needs and taking into account all the possibilities of the child. Jean Piaget was undoubtedly one of the most influential experts in the field of child psychology; he is the creator of the theory of cognitive development, which describes the psychological developmental characteristics of the child at different ages. For example, Piaget believed that the child learns the world exclusively through the creation and acquisition of individual experience, respectively, our task is to provide the child with such UX, where he can be the author of his story, but not the listener who passively perceives what the screen tells him. Like the type of interaction, when a child creates his own cartoon or game, acquiring new knowledge in the process of creation. Children become users very early, even before they learn to read, speak or yet remember. 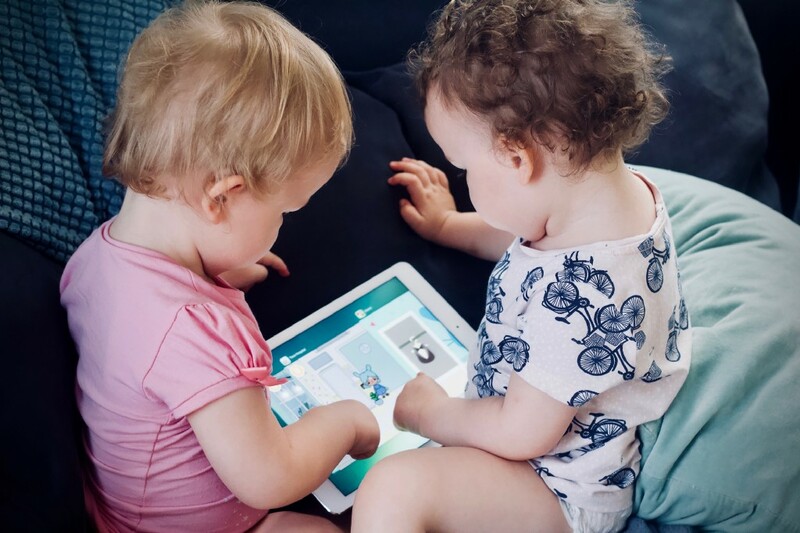 It should be borne in mind that when we talk about specific UX features, it’s mostly about using the touch-based apps, since up to 12 years the child interacts mainly with tablets and smartphones. And it is important to understand that for a child the difference of 4 years means a fundamentally different set of skills, this is not an adult who can easily be placed in one group of 25–45 years. NNGroup recommends at least three children’s age groups: 3–5, 6–8 and 9–12 years old. 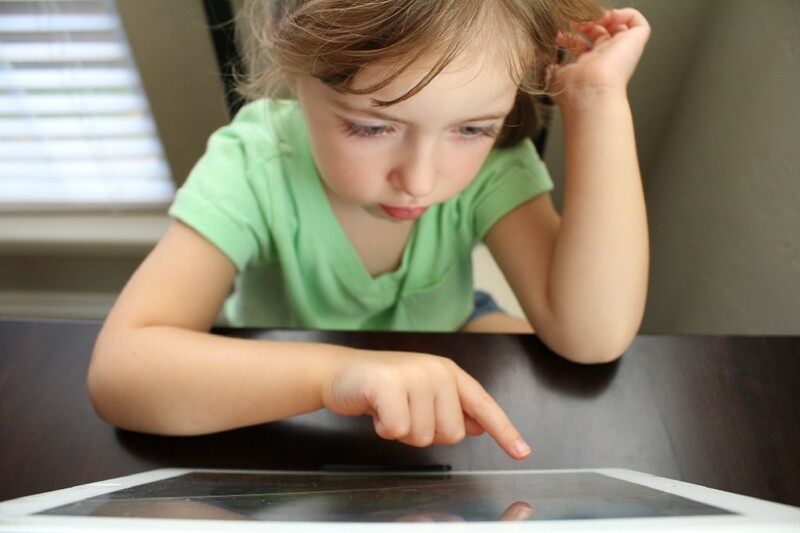 Even the motor skills are not developed enough for a child at this age, so the main role in UX is played by large pictures, instant visual and audio feedback, understanding of the total lack of user patience, keeping in mind the possibility of multiple clicks at the same time and the inability to distinguish different types of content, e.g. the ad banner from the part of the game. A child can focus only on one object at a time and this explains the impossibility of having any hierarchy for navigation. At this age, children typically know how to read, so one of the key skills in working with interfaces has been obtained, but vocabulary is limited. The main UX task here is to use the vocabulary used by the child himself, avoiding unfamiliar words. We can already ask slightly more complicated tasks using words, but these words should be clear. For example, you can use the “Secret code” instead of the word “Password” or use a more understandable “Go” instead of “Submit”. Since analytical thinking is not yet developed, it is desirable to immediately show what advantages a child will get from every action. The choice should be simple and clear, also try to avoid long texts, better to use no more than 3–5 words in one statement. By this age the kid is already a veteran of UX, at least with touchscreens. He knows how to scroll and swipe, how to work with navigation, how to subscribe etc. When creating applications for children of this age group, special attention should be paid to the rules for regulating the collection of personal data by COPPA and GDPR-K, which must be followed to become compliant with privacy regulations. Let’s try to organize this information and find those features that distinguish UX created specifically for the children from ordinary adult [boring] interfaces. For adult users, we are trying to find a color scheme that does not distract them from the tasks for which they came to this site. With children, it’s just the opposite — they came to have fun, and the color scheme is the main visual guide for most of their activities, attracting attention, creating moods and so on. Accordingly, the colors should be bright, colorful and cheerful. Children mostly use simple intuitive gestures such as tap and scroll, and are less capable of complex actions such as swipe or double clicking, which should be taken into account when considering UX. Adult users are still ready to wait, but children need an instant reaction and preferably in a game form from the first second of interaction with the interface. If you need to pause (for example, by counting the test results), give the child something to do at this time, e.g. flipping through the pictures, watching new games, etc. Always remember about the possibility of recovering lost work and designing forgiving interfaces, which will further reduce the need for overly strict instructions. Due to more advanced abilities, an adult user can follow the established interface rules. The child will start to click on everything, so UX designers should provide a multi-touch and think ahead of a limited set of options. Multi-touch is especially important, because the child often does not notice that he holds the screen with one hand while trying to tap on something at the same time, and for some reason just nothing happens. This also applies to gaming applications, interacting with which the child is likely to use several fingers together. Adult users, as a rule, get annoyed and distracted because of excessive graphics, while for children the “tangibility” of graphics is sometimes the only way to understand its meaning due to yet undeveloped abstract thinking. Pictures and real-life images should be used wherever possible. The font size should be the greater the age of the user deviates to one side or the other from the notional age mid-point, for which we put 10 points. Accordingly, for children and the elderly, we increase the font to 14 points. This is another powerful irritant for adults, which is wonderfully entertaining and pleasing to children. Animated characters that make sounds in response to the little user’s action are a great way to attract and retain the child’s attention. The important difference here is that the adult usually starts working with the search, while the child is more likely to operate with the provided bookmarks. In this case, any navigation elements should be large, clearly articulated and, if possible, animated. If you cannot avoid hierarchy, it must be presented as a step-by-step mechanics, where each step gives an independent and simple choice with an easy opportunity to go back. For adult users, the attempt to mimic the real world may seem excessive; all they need is a simple and accessible mechanics in a convenient form. To children, the interface should create a mood, be tangible and attractive, contain recognizable examples from real life; especially it’s about nature, such as water, trees and animals. The more realistic the picture looks, the stronger it excites the child’s imagination. Storytelling also works well, it helps children to unfold the plot and assimilate the behavior pattern. Whatever one may say, you still need to try hard to make an adult user burst into tears over the UX imperfection. Or, to laugh happily when he saw a great animation. Simply remember that the current experience affects the child much more, and we need to approach UX issues even more responsibly. Children-first design: why UX for kids is a responsible matter was originally published in UX Collective on Medium, where people are continuing the conversation by highlighting and responding to this story.